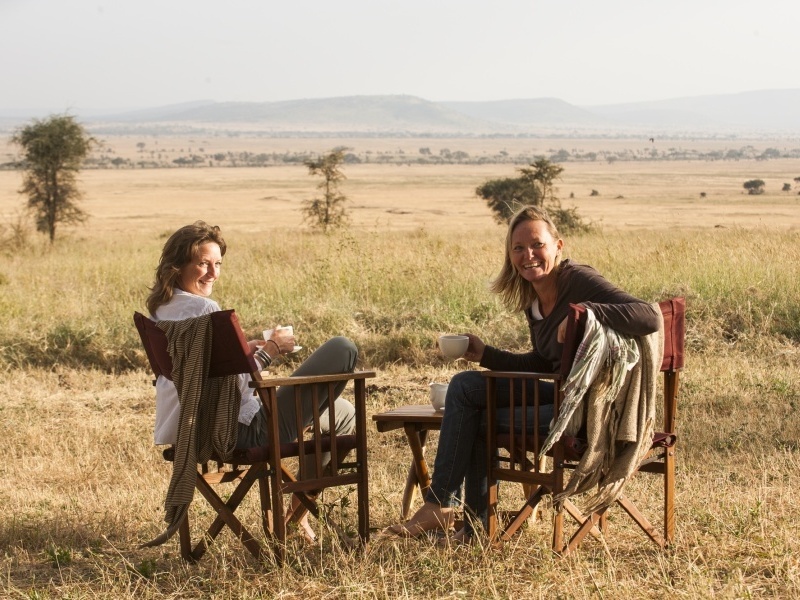 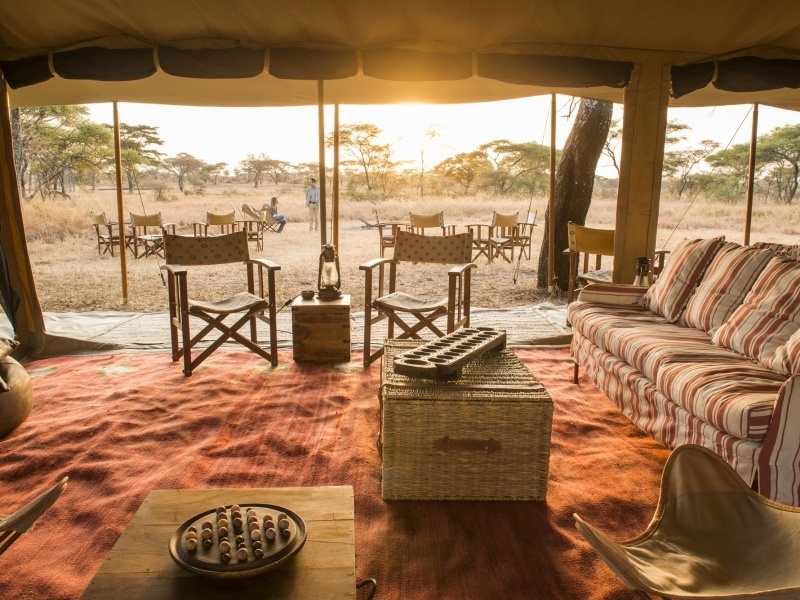 Fly from Arusha Airport to your accommodation in the Serengeti – Serengeti Safari Camp – for 4 nights on a full board basis. 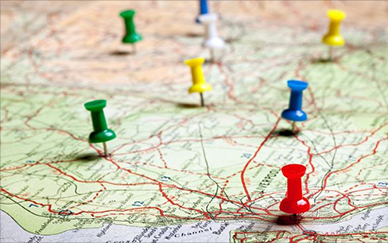 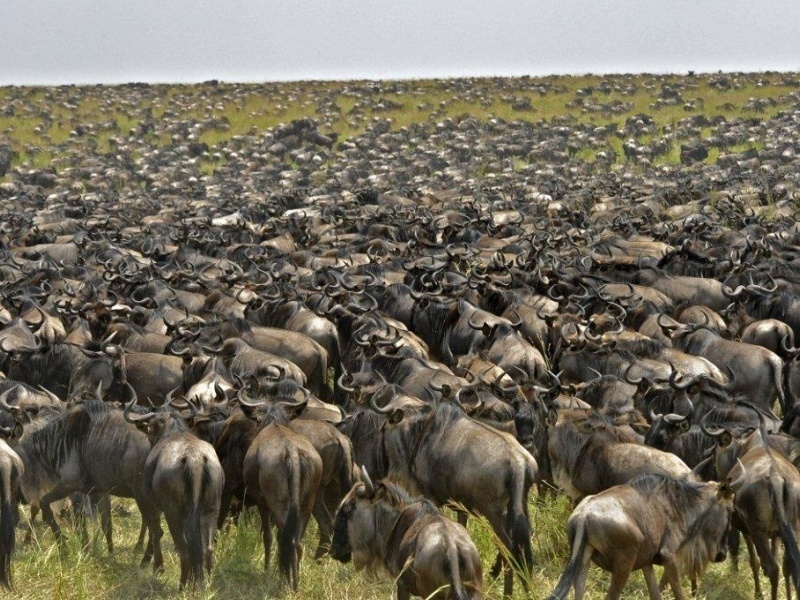 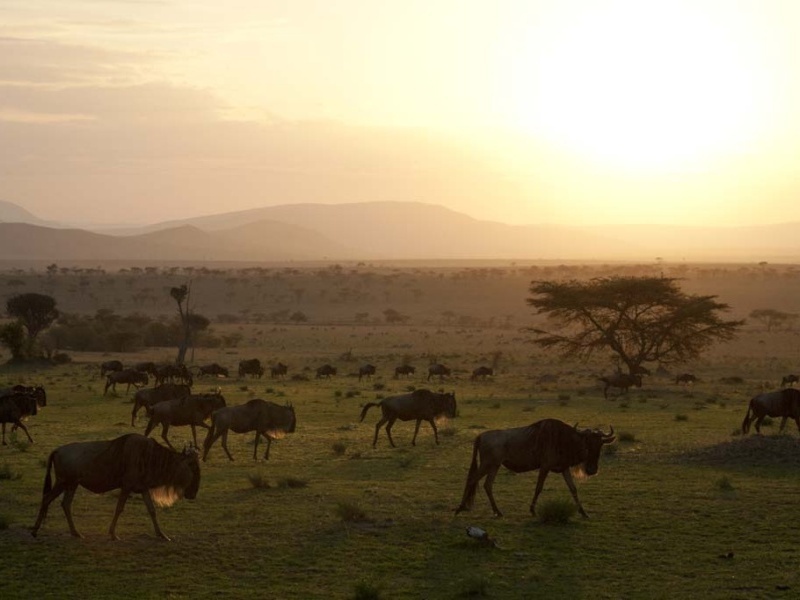 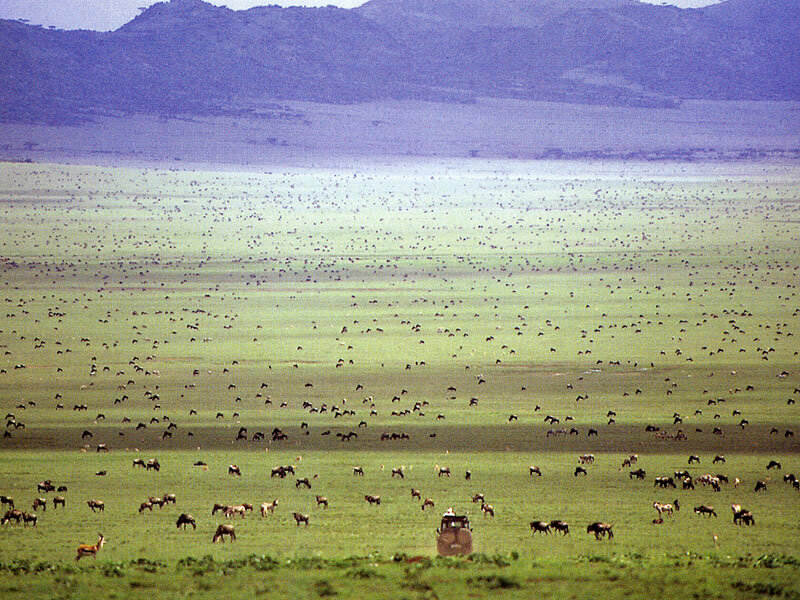 An early flight from Arusha Airport takes you onto the rolling plains of the southern Serengeti, home to migrating wildebeest in their hundreds of thousands. 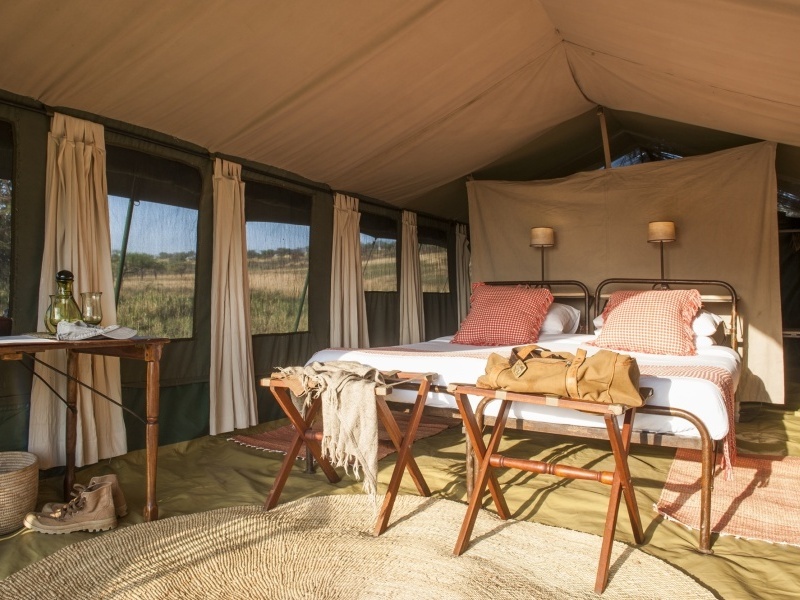 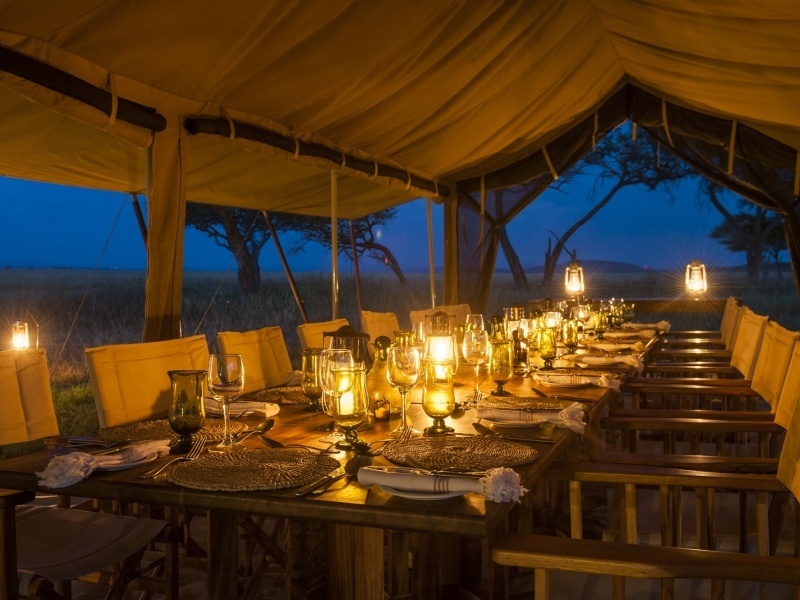 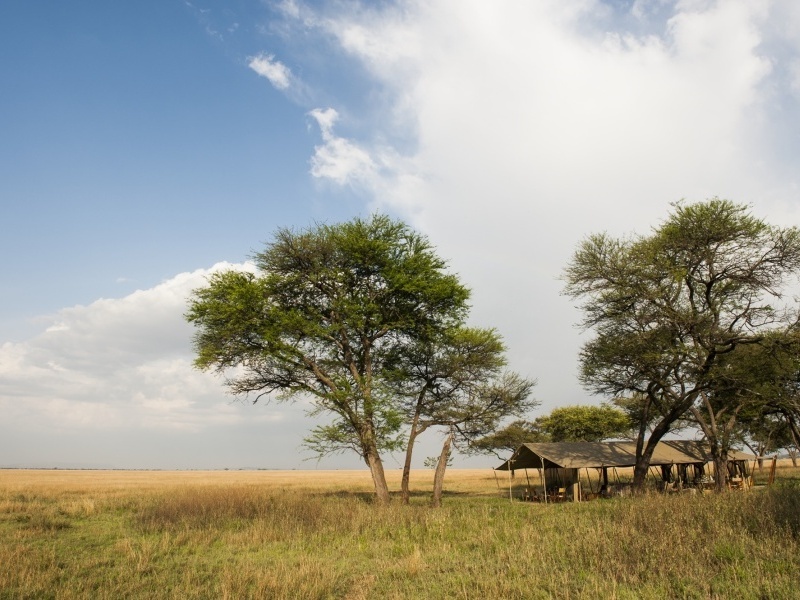 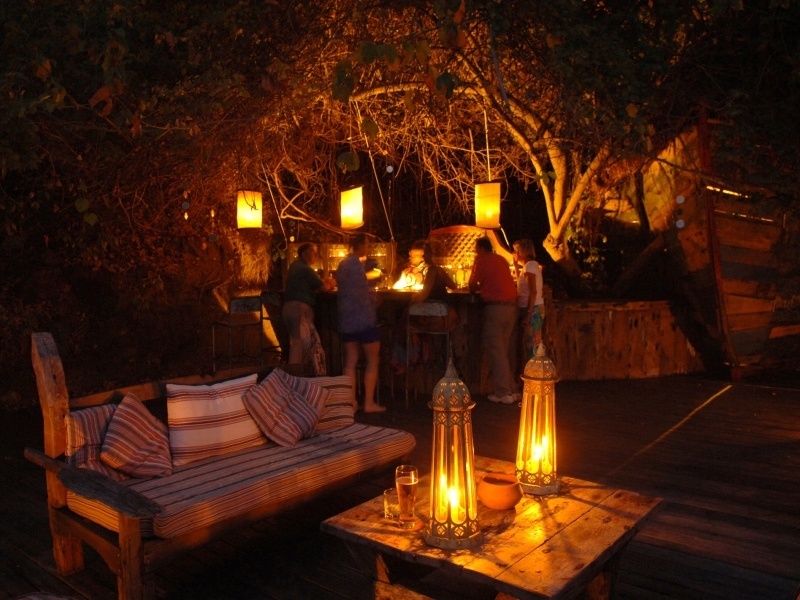 Your accommodation – Serengeti Safari Camp – is a seasonal one, moving every few months as it keeps pace with the migration. 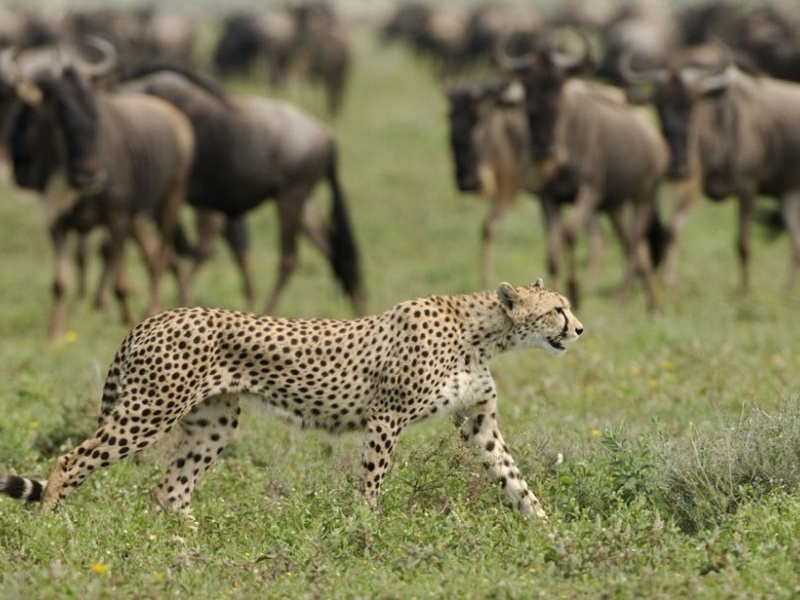 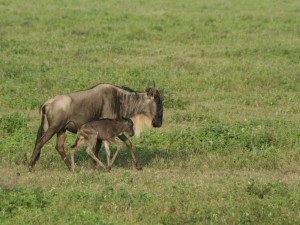 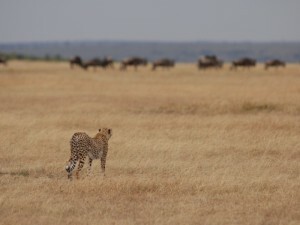 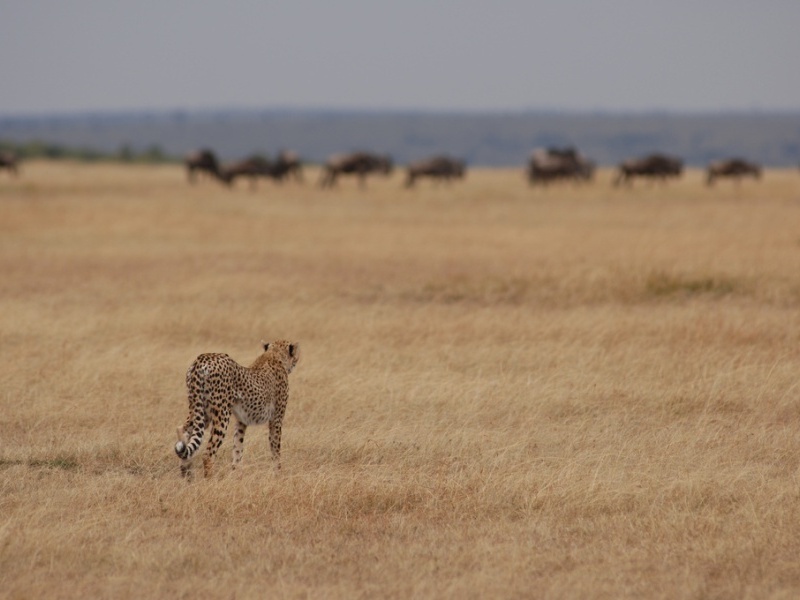 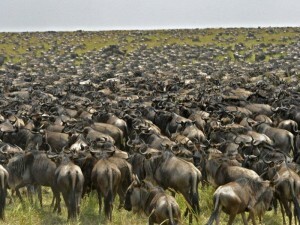 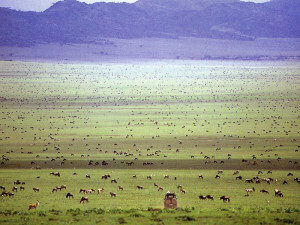 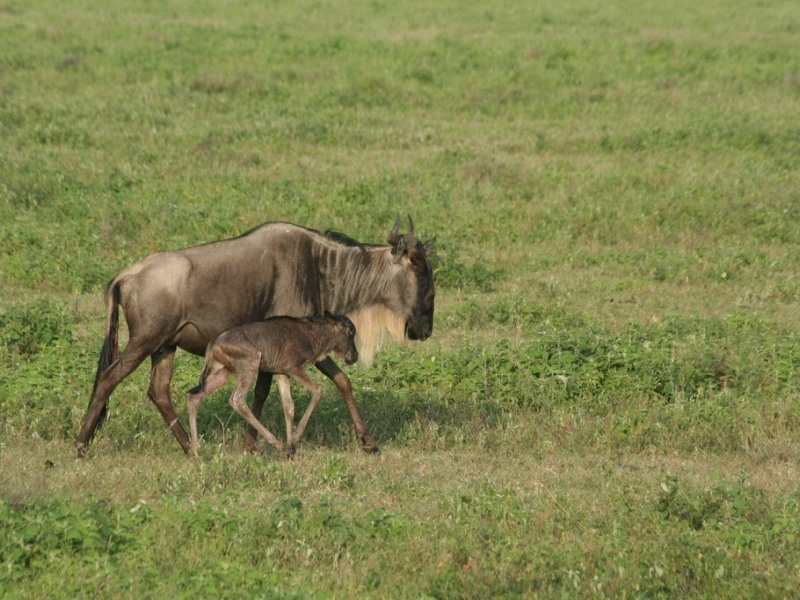 Amazing game viewing is therefore assured, and your guide takes you on morning and afternoon game drives to see it all. You’ll even have the chance to stay out on safari all day, enjoying lunch in the shade of a tree as the drama of the savannah plays out before you. 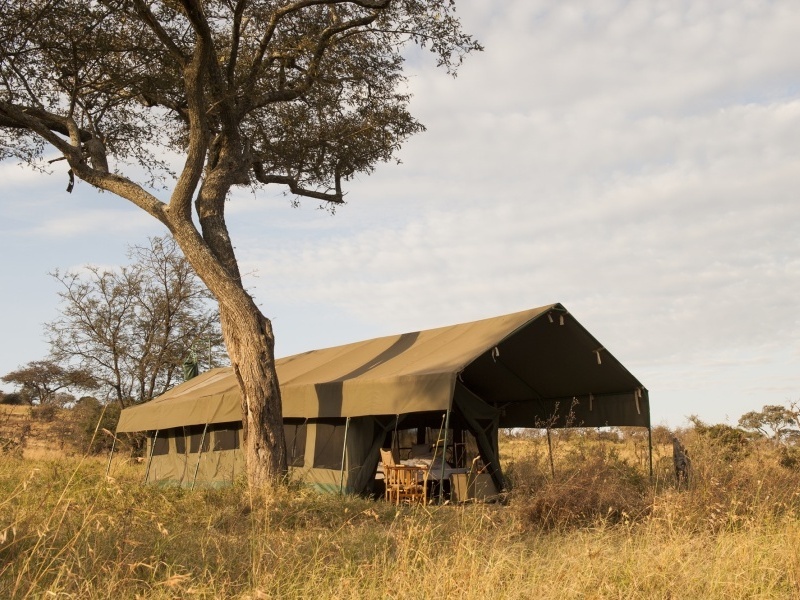 Back at camp you’ll sit down to candle-lit suppers and sleep in a classic tented suite, complete with flush eco-toilet and hot water ‘safari shower’. 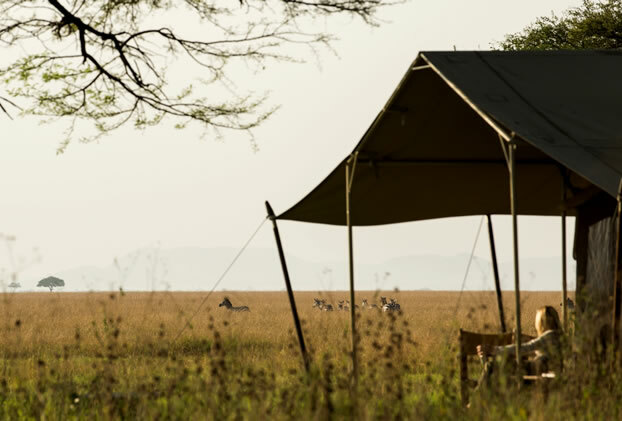 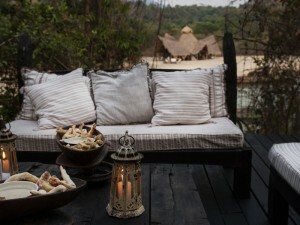 Fly from the Serengeti to the Mahale Mountains – transfer by dhow to Greystoke Mahale for 3 nights on a full board basis. 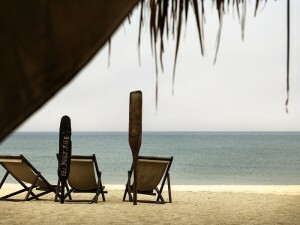 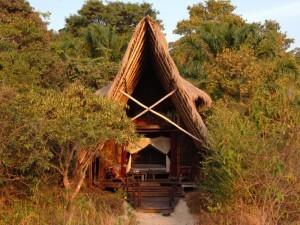 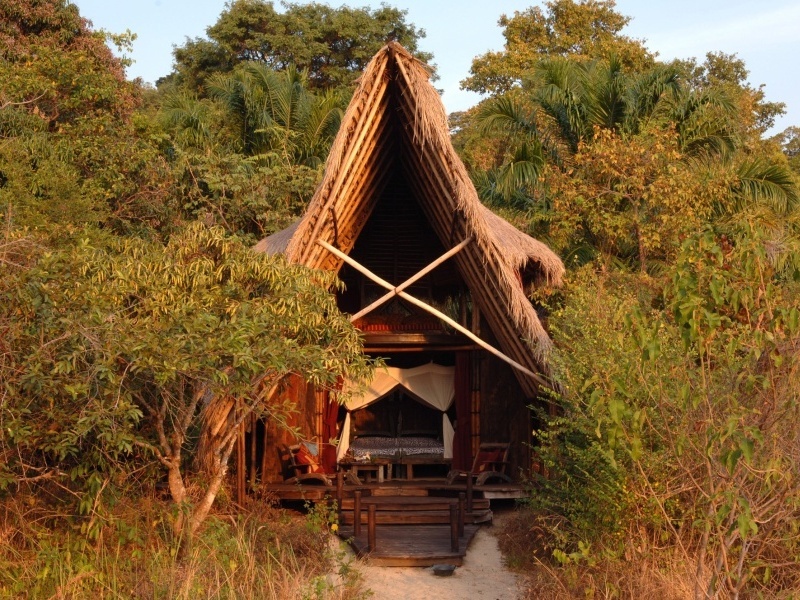 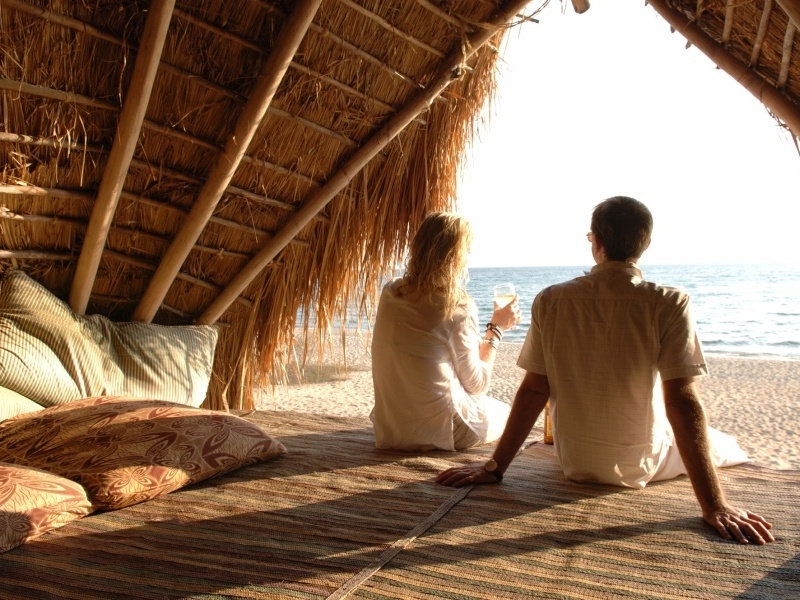 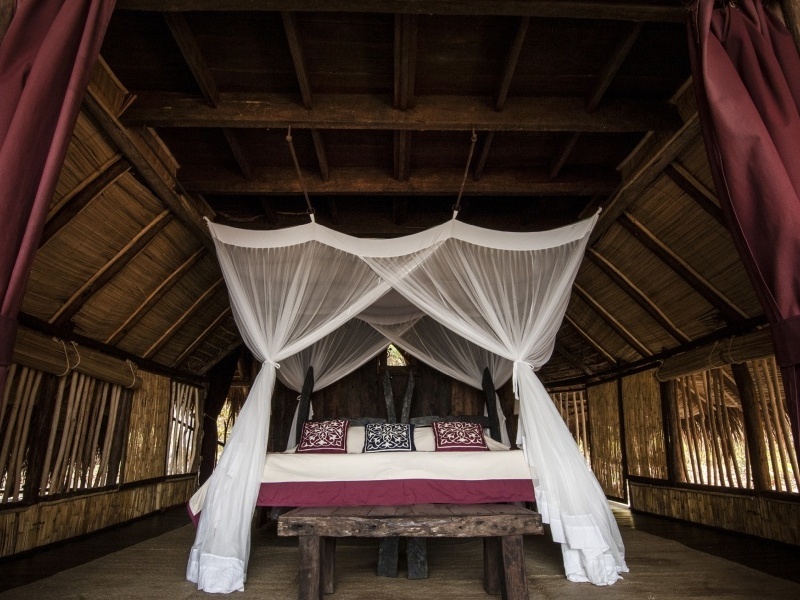 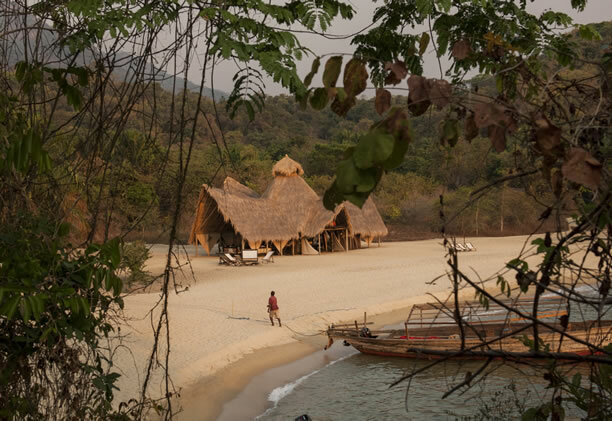 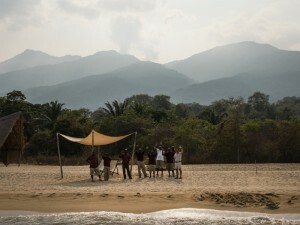 It takes a morning’s flight and a dhow ride to get to Greystoke Mahale but the reward is an enchanting camp built on the shores of Lake Tanganyika. 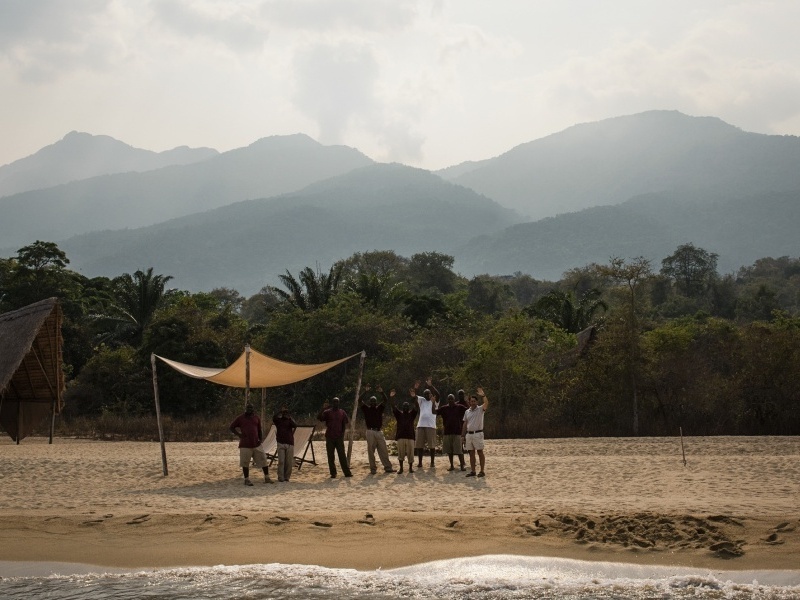 Behind the beach, forest-covered mountains rear skywards, home to troops of hooting chimpanzees, colourful birds and brilliant flocks of butterflies. 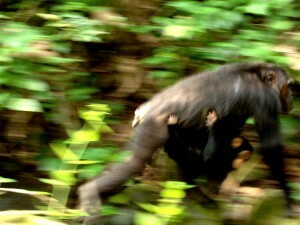 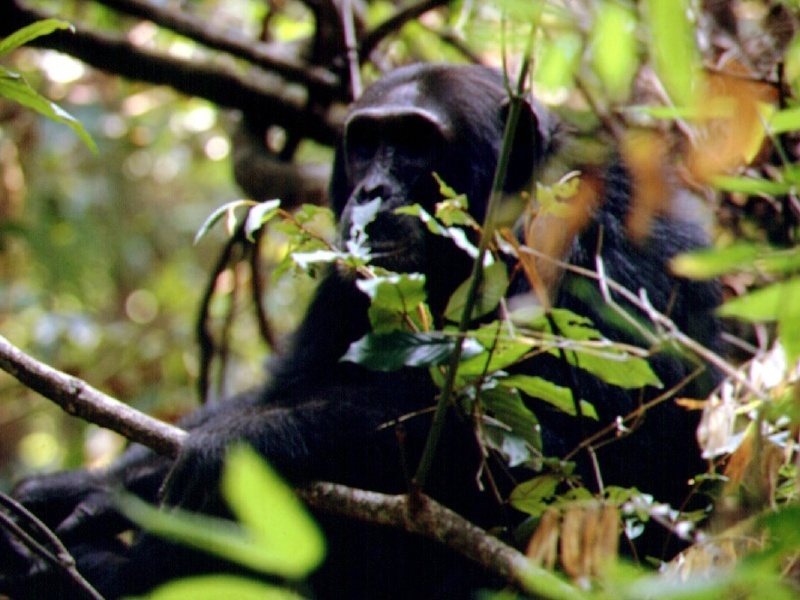 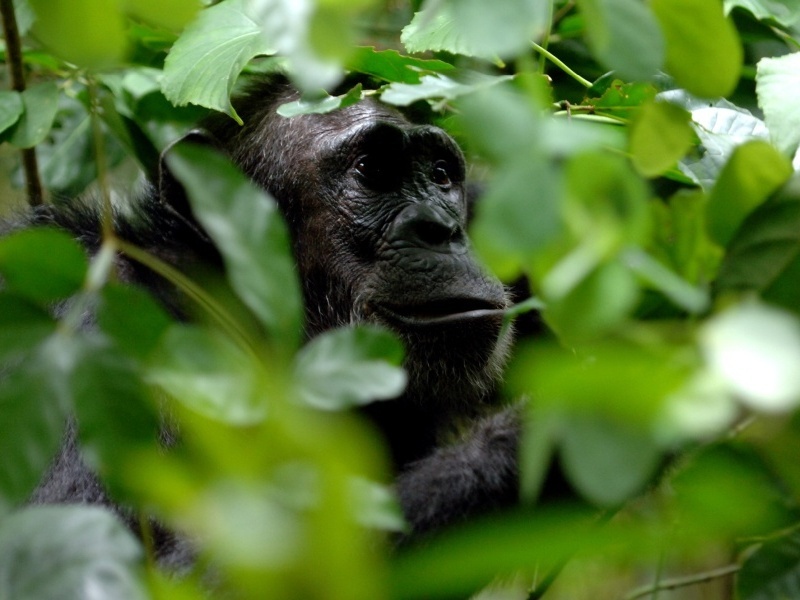 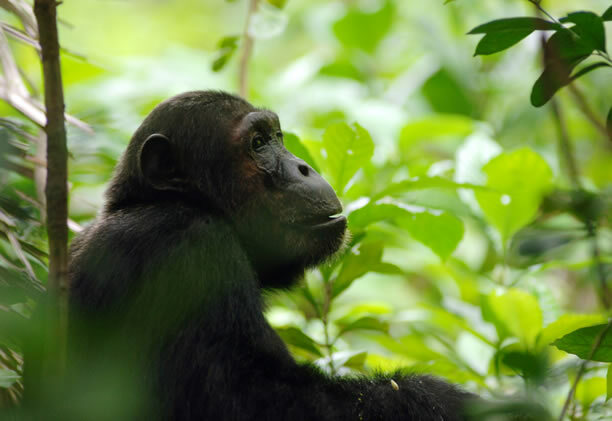 Chimp trekking with expert guides is the main focus here but there’s time to explore the lake – you can even snorkel among tropical fish and find natural swimming pools in a quiet forest corner. 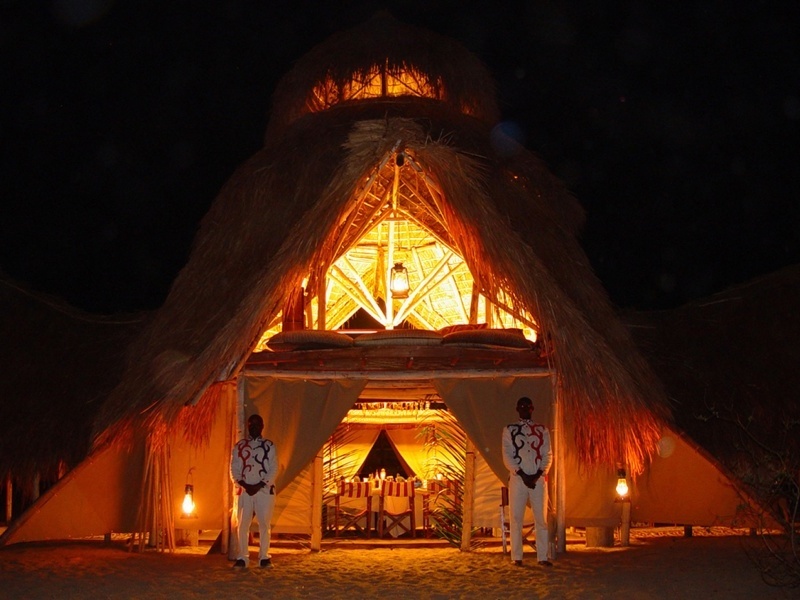 Sunset dhow cruises complete the day. Your tented suite, one of only six at camp, faces the lake and has its own viewing deck. 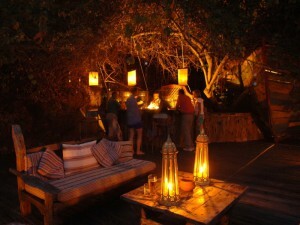 Depart Mahale after breakfast for your flight back to Arusha Airport. After breakfast and farewells, you’ll board the camp’s dhow for a transfer to the local airstrip and a flight back to Arusha Airport for your onward connection.